GumNotes is and will remain absolutely free if you use it privately! 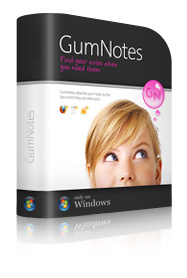 The GumNotes Free version is intended only for private use on a single PC. The commercial or professional use of the GumNotes Free version is not allowed. If you want to use GumNotes in a commercail or professional context, you have to purchase a GumNotes Professional license in our shop. With this license you’re able to register your GumNotes Free version. For further details please take a look at the EULA.